Ok, so mustard yellow is not the "official" color of summer 2018, but it has definitely been around and I personally love it. Although I relate this specific hue to fall season better, it goes pretty well with summer days too. Probably because it perfectly matches a sun-kissed skin, but I found this color to be really flattering on almost every skin tone. I would personally recommend combining this color with either navy blue or white. 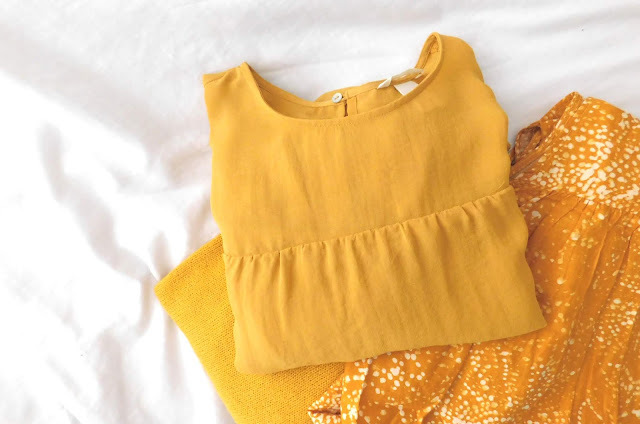 Both colors make the perfect contrast and bring out the best of this specific yellow, but summer is best known for its color freedom, so mix and match however you want. And because I couldn't find just one mustard-colored piece, here are some of my favorites to wear during this season, and many more.